A cop friend of mine first alerted me to the dangers of mindless driving—driving with little awareness—several years ago. He said, “If people knew how many accident victims are found with cell phones shoved into their heads, they wouldn’t talk and drive.” Scary visual, right? Authorities say that driving is a privilege, not a right. Yet too many of us treat it with nonchalance—an attitude that can be more dangerous than a loaded gun. While we can’t change the attitudes or behaviors of others, it only makes sense that we adjust our own. We can lead by example and, potentially, save lives. Numerous studies have shown that driving while talking on your cell phone—with or without a headset, and texting are as dangerous as drunk driving. Unlike talking to a fellow passenger, cell phone use takes your mind out of the vehicle. So it’s no surprise that researchers at the University of South Carolina found that cell phone users are four times less able to pay attention compared to non-users. Driving is the most dangerous activity most of us will ever engage in. But that doesn’t mean we should drive in a state of panic. Driving around fear-filled will only worsen matters. Driving with heightened mindfulness, on the other hand… NOW we’re talking. Mindfulness, according to Psychology Today, is a state of “active, open attention on the present.” To drive mindfully, you apply similar principles on the road. Rather than drive with complacency, which is the norm, you drive with awareness of and respect for yourself, your vehicle and your surroundings—including other drivers. Before driving, remind yourself of your intention: to drive with awareness. This alone will help cultivate mindful thoughts and behaviors. Know where you’re going. This is a tough one for me, seeing as I’ve been known to get lost in people’s homes and, once, a bathroom. Navigation systems are great, but use them as backup. Get the gist of your directions down before leaving. If you get lost, pull over to gather your bearings. Place a ‘mindfulness reminder’ in your car. An inspiring quotation, meaningful charm and photographs of loved ones provide valuable options—anything that reminds you that life is precious and distracted driving, dangerous. Make your car a NO PHONE ZONE. Keep your phone out of arms’ reach, preferably on silent mode or turned off, at all times while driving. Aim not only to follow traffic laws, but to observe other drivers. (Driving “right” does not ensure your safety.) Keep a distance from drivers driving badly. Report risky drivers to the police—after pulling over, of course. Stop the road rage. If someone is driving too slow, slow down or move over rather than ride their tail. If someone’s encroaching behind you, don’t slow down just to peeve them. Move over and get over it. Breathe. If you feel yourself tensing up, due to poor driving, running late or other stressors, take slow, measured breaths. Drive with little or no music. The thought of driving in silence would’ve creeped me out a few years ago. Now I love it. If you do listen to music or talk, keep the volume at a reasonable level. Turn sounds off and roll your windows down before driving and parking. This brings awareness to sounds of animals, small children and other beings/things in your wheels’ way. Sleep enough. I’ll cover this more in the Healthy Sleep post. For now, know this: sleep deficiencies also bring risks similar to drunkenness. If you aren’t in the proper state to drive, don’t. Take a nap. Call a cab. Develop a healthier overall sleep routine. Don’t over-caffeinate. While moderate caffeine, or the amount found in 2 – 3 cups of coffee, is harmless to most adults, excessive amounts can cause or worsen anxiety, irritability, shakiness and accident risks. Don’t drink and drive (duh). About 1/3 of driving fatalities involve alcohol. Drive when you drive, and cut out other clutter. Although phones top the list of risky driving distractions, other common culprits include applying makeup, shaving, smoking, eating, drinking, toying around with navigation systems, music players or other objects. Meditate. Just not while you’re driving.Practicing mindfulness in any area of your life promotes mindfulness in other areas, which boosts your physical and emotional health. You’ll sleep better, think better, feel better and live better. Sound like a lot to take on? Choose a few baby steps, starting with awareness of the distractions you’re grappling with now and the intention of positive change. What do you say? Anything you zen drivers out there wish to add? Are you a non-zen driver, willing to admit your faux pax? State your goal and state it loud. I’d LOVE to hear from you and cheer you on. My 15 year old daughter got her learner’s permit a few months ago. Currently, she’s the best driver in our house. Why? She hasn’t had the time to develop the bad habits of her parents. She;’s making me self aware of my distracted driving characteristics. Good girl! And excellent point, Lance. Youth catch a lot of grief for being accident prone, but we adults can certainly use refreshers. Your point about driving being the most dangerous thing we do on a daily basis is a good one. It’s such an everyday activity that it’s easy to forget we’re basically operating a massive and potentially deadly piece of machinery as we rocket down the highway at 60 mph or more. I don’t imagine most woodworkers (for example) would operate a band saw (not that I know what one is) while talking on the phone. But the fact that driving is so commonplace allows so many people to fall under the illusion that it doesn’t have the potential to be dangerous. Great post, and great advice! Just last week, I got a ticket for an improper right-on-red (meaning I ran a red light!). When the cop pulled me over, he had to tell me what I’d done wrong, because I didn’t know! He said, “Didn’t you see the signs? They’ve been there for 7 years! !” Now this is in my own neighborhood, where I drive all the time, and definitely should have known better. Yiyiyiyiyiyiyiyi. You are SOOOOO right about “mindful driving”! Great post (but why didn’t you post it BEFORE I got the ticket, hmmmm?)! Drats! Seems I’m a little rusty in the psychic department… Hopefully your ticket experience and this post will guard against future episodes. Wait… My crystal ball agrees! Thanks for your comment, Diane. Sorry you got that pricy ticket! My great sin is storytelling. Since I was a kid, I’ve always told stories in my head about what is “going on” all the time. Including in the car. Most of the time, it keeps me on track and from falling into highway hypnosis (if I drive anywhere, it’s a half our or more) but if the story gets too compelling I can lose track of where I am for blocks of time. So far no accidents caused by this, but I’d be a liar if I said there hadn’t been a couple close calls. Highway hypnosis—love it! As long as it doesn’t go too far… I’ve gotten lost myself due to daydreaming and story plotting. I think the key is sensing when our inner-narrator is about to lead us astray then regrouping to focus on the road or heading to a park or coffee shop where safe story telling can unfold. This is right on the mark, August. I rarely, if ever, have the music on when I’m driving. No phone, no coffee, I watch for dangerous situations developing and try to avoid them before they get started. I have dodged a lot of bullets over the years, folks talking on the phone, eating and drinking, reading the newspaper, texting, etc. I’ve seen a few accidents too. Scary stuff. Thanks for a great post. Yay!!! So thrilled to hear that you drive with such awareness, Prudence. May the rest of the world follow suit! One of the most stressful times of my day was when I was commuting 45 minutes each way to work. There were so many people cutting off others, tail gating, and just being overly aggressive. It was all I could do to make sure I got to work safely. Needless to say, I despise traffic now. Hope many read this and take your advice! We seem to forget that we are all behind the wheel of a compilation of steel and mechanical parts weighing anywhere between 4000 and 15000 pounds going 30, 50, 110 kilometers an hour making it, in some senses, a very dangerous weapon. When we become licensed drivers, the safety and security of hundreds of people is intrusted to each of us and it seems to me, we are desensitized to the risk and the dangers and therefore, don’t seem to take it seriously enough. They say if you drive while texting, you are 27 times more likely to be in an accident. Did you know that is tantamount to driving drunk? A driver with a blood alcohol level of .08% (NB’s legal limit) is about three to four times more likely to cause an accident; at .10% they are six times more likely; and at .15% (nearly twice the legal limit) they are 25 times more likely. It boggles my mind that people need to be regulated to not drive distracted. It’s sad but we do need laws to try and encourage (if not force) people to take driving safety seriously. When I see someone talking on their cell while driving or texting, it infuriates me to no end. If you want to risk your own life, have at er’ but it’s the innocent people’s lives that distracted drivers put at risk. And that’s not cool! I LOVE your tips!!! They are fabulous. Thank you for keeping the awareness on this all too important issue! Distracted driving habits are pretty mind boggling. I see where they come from, and how easy it is to fall prey to them… But once we know the risks involved, there’s NO excuse. Life’s too short and precious to risk it for a phone call or text. Yet another reason for mindfulness while behind the wheel… keeping bikers and walker safe! When we transferred my son to a school 2.5 miles away, I refused to give up my daily exercise so we all got helmets and pumped up the tires on our bikes and took to the sidewalks (1/2 hour earlier) for school each day. I can’t tell you how many times I have had to scream at distracted drivers who were just inches from hitting one of us (even when we obey the traffic and biking laws). It is scary to think I am putting my children’s lives in jeopardy just by biking to school, but it is becoming increasingly dangerous to even cross the road with so many mindless drivers out there! EXCELLENT point, Jana! I went without a car while living in Miami for over a year and realized how little drivers pay attention to pedestrians. And in L.A., bikers, cars, runners and walkers often intersect – or come close to it. I’m so sorry to hear that you’ve faced such danger. It’s your mindfulness, certainly, that’s kept you and your wee ones from harm. Driving is actually one of my least favorite activities. I used to commute two hours each way to get to school when I was doing my master’s, and I noticed an immediate drop in my stress level when I finished and didn’t have to make that drive anymore, I saw so many accidents along those drives that I was always on hyper-alert (which isn’t the same as helpful awareness). I definitely have a “no talking on the phone” rule for myself. My province is already hands free, but you’re right, I find even talking through Bluetooth distracting. I do play my radio and won’t be giving that up, but that’s because I get motion sickness and the sound of the tires tends to make it worse. Great point regarding hyper-alert versus heightened awareness, Marcy. Fear can definitely work against us and become its own distraction. Sounds like music soothes you, so it sounds like a super option – and a prime alternative to phone use. So glad you have safety measure in place! It seems 9 times our of 10 when I see someone driving ridiculously slow or erratically, they’re yapping on the phone. Even though I have hands-free, I hardly ever talk on the phone while driving. If someone calls me, I pay attention to the driving, but talk distractedly – once, I told my husband that I was going home with a (male) coworker for long lunch LOL when we were, in fact, returning to the office after another coworker’s goodbye lunch! Ha! Love it, Jennette. I’d suggest taking your efforts a step further (as though you asked LOL) by saving the calls for non-driving time. Although you’ll miss those funny stories! Hmm… Maybe you should chat on the elliptical or at the grocery store instead. Cart crashes aren’t near as dangerous. Such an important topic to touch on. Thank you for covering it August. You are right, so many people take it for granted and forget the force they wield at their fingertips. It’s a scary thing. I hope everyone reads this! Great post! I really try not to be distracted when I drive, but sometimes with 3 kids in the car it can get dicey. But they know to keep it down,and my 11 year old is my designated phone keeper and message taker. I always say a quick prayer before starting off as well, I’ve seen too many deadly accidents and know it can happen in a blink of an eye! I bet many busy moms relate to such dicey-ness, Kara. The queen bees of multi-tasking, right?? But moms also have the most precious cargo. Sounds like your 11-year-old is a gift, as are your prayers. It’s amazing what a brief check-in can do for our awareness and mindset! Wonderful post and SO important. I’ve been (past tense!) a phone talker (not texter) while driving and in the last few months, I’ve stopped. I’ve decided no more unless I pull over. It’s a hard habit to break and I’ve already missed a timely call or two because I’ve ignored my phone but it would have been worse if I’d killed myself and my precious cargo (kids and their friends) because I’d answered the phone. Good for you, Ginger! I know from experience how tough the habits are to break, and the empowerment and peace that come from doing so. It gets easier fast! Nice job. I feel so guilty…Though I’m not an evolutionist, there is some merit to the idea of “Natural Selection.” Those 5,400 distracted drivers are now dead for a reason; they were the worst of us distracted drivers! I definitely practice mindful driving–although there is room for improvement. The biggest motivator for me was when my daughter started driving. I realized how much I needed to set an example and I knew if I told her that she shouldn’t do it, it wouldn’t hold much weight if I didn’t practice what I preach. Thanks for spreading the word on this important topic. Thanks, Coleen! I dig your blog, too. So glad to hear that you drive with mindfulness and provide such a great role model for your daughter! None of us practice mindfulness “perfectly,” or all the time. Making it habitual, though, goes a long way. August, I live in Canada, in the province of Alberta, and in 2011, we had a distracted driving law passed. But, it doesn’t seem to matter to people. Every day, we still see people driving with their cell phone attached to their ear. Sheesh, very annoying. August, this is something that has been on my mind lately. Thanks so much for articulating it so well. What I do with any activity is go to the worst case scenario. “Is it worth dying over?” My answer is no. A car can be a lethal weapon. So I pay attention when driving to protect myself and innocent families. A text, a cell call, fixing your makeup–they are all unacceptable thing to do while driving–any of them could result in just enough mindlessness to end a life. Great strategy, Kourtney! A realistic self-check in makes way for mindfulness on the road and elsewhere. You’re so right–not worth the risks. Great points, August. It makes me mad to see so many drivers talking on the cell phones and not paying attention to the surroundings. Another dangerous thing many people do is to put the car in a reverse without checking what (or who!) is behind it. Excellent point, Angela. I saw an Oprah show that featured people who’d backed their cars up over their own children… Totally heart wrenching and more of a risk than people realize. Ever since, I check my car’s surrounding area and crack my windows down before backing up. I hate driving. My friends tell me I drive like an old man. Great advice to be gleaned here. If only everyone would be so conscientious. Great post, August. Alberta has a strict distracted driving law, which helps. and I’ve never tried to text or even dial a phone while driving – I can’t do two things at once. thanks for other great ideas. I don’t think anyone can multi-task well, Louise. The fact that you recognize and abide by it makes you a driving super star! I try to be very careful when I drive because it is not something that comes naturally to me. I have a Bluetooth system in my car so I do talk on the phone sometimes, but I pay attention to the driving, not to the conversation. Really, my favorite part of driving alone is getting to listen to music. That is something I just couldn’t cut out. I turn the stereo off, though, when I park because I am the world’s worst parker. So glad you know where your challenges lie and address them, Emma! I wish more drivers did so. Driving a car is the worst time to be distracted. In a car, the duration from being “safe” to when an accident occurs is generally said to be about 2 seconds. I don’t know about other people, but I’m sure I’d take longer than that to switch from texting/talking on the phone/changing radio stations etc to steering and braking. I love your list. It’s great to see a practical set of suggestions to follow rather than “be careful.” We all say those words, but being careful is a consequence of actions like the ones your cite. 1) Look left and right before you cross a junction (4-way stop/traffic lights etc). Side impact account for 9,000 deaths a year, many at junctions. 2) On roads with two or more lanes in each direction and no central barrier, take the right hand lane. In the right hand lane, on a 60mph road, if you have an accident it’ll be a 60mph crash at the most. But in the left hand lane … with no barrier, a distracted driver can easily wander the few feet it takes to be in the path of the oncoming traffic (you). This means you will be involved in a 120mph crash which increase your chance of death exponentially. Also, in the left hand lane you have a far greater chance to see the distracted driver wandering and take action. More people die in head-on collisions than side impacts, so it makes sense to reduce the chance of meeting someone head-on. On a brighter note I just can’t wait until you share the story of how you got lost in someones bathroom. Wow. Thanks so much, Nigel. I had no idea driving in the right hand lane was so much safer… Just for that, IOU a post featuring Little Bo Beep in the bathroom. Wow! What a super post and reminder to drive with mindful intent. I have to admit, I’m a huge talker on the phone when in the car. It’s like an addiction, as soon as I get behind the wheel, there is this compulsion to call someone. Like I’m afraid to be alone in the car, which is strange since I love driving and being alone. I’ve been working on the phone thing, but I need to quit it completely. Fortunately, California has strict texting laws ~ you can get a ticket even if you text at a red light! ~ so the texting isn’t an issue for me, just the yapping on the phone. Thanks for the great list and reminder. I know many people relate to your car talking habit, Tameri. I used to be one of them. I hope you’ll consider some changes—perhaps in honor of Mama K? We all want you to stay safe and sound. I’d challenge you to one day without phone use in your car, then a week. Soon, it’ll be easy-peazy. In fact, I bet you’ll end up liking it. Much more peaceful. Thanks so much for your insight and honesty! Aw, Sweet Cakes, I’ll take that challenge! Actually, I’ve known for a long time that I need to stop, so taking your challenge is a good thing. Life changing in the best way possible. I will think of Mamma K and others who have lost their lives to distracted driving. Thank you SO much for this post. Ah, so good to see you August! Thank you for all your blog love and goal support! I am so sorry for not dropping by sooner. Life has been crazy with Hubby getting ready for surgery, family in town, well just life. It was just yesterday that we were having a conversation about how when you drive for a while and arrive at your destination and can’t remember the drive there because your mind was preoccupied.elsewhere. Kinda creepy. And boy do you snap out of it fast. There are just too many senarios of what can go wrong. Automobiles can be killing machines if not used properly. What great reminders! Hey, I noticed your post on facebook. Looking forward to your interview with your actress friend. That should be cool. You do give great interviews August! I promise I won’t stay away so long this time. Trying to catch up with everyone. I apologize for taking so long to comment. I’m afraid I’ve been indisposed. The truth is, though I’m not a practitioner of zen, I am a zen driver — and by that I mean, I drive like a man who’s at one with his vehicle. I drive a stick. And yet I’m not a conservative driver, as many assume, though, let it also be noted, I’m not an overly aggressive driver, either. I’m a dashing driver. That’s how I like to describe myself. Then he drove out from under the ghostly trees and away from the burning fields. He drove out onto the wide-open highway and accelerated faster and faster into the perfect day. At various points in my life, I’ve even lived out of my car — by choice — with no fixed address. Why? In part because I like being mobile. In fact, like Lauren Lake, I crave it. I like to get in my car and just start driving. Just driving and driving until I’m too tired to drive any more, and then I like to pull over and check into a motel somewhere and sleep until morning, and then get up and do it all over again. I’ve been all across the country in this way. All across the country and back, I should say. North, south, east, west — it doesn’t really make any difference where. It’s the driving, you see. In part also, I like driving because it allows me all the time I need to think — or perhaps I should say, driving stimulates thought within me. The most productive periods of thinking I’ve ever had have happened in my car while driving for protracted stretches of time. I once plotted the first half of a novel entirely inside my head while driving. Driving is enjoyable. Driving is difficult. Driving requires stamina. It’s physical and psychological. Driving requires focus. It requires attention — the strain of willing. It requires concentration, physical energy, mental acuity. Driving is liberating, but driving is dangerous. Very fun post, August. Speaking of mindfulness, have you read Mindsight by Dr. Dan Siegel. I think you would LOVE it. Thanks, Joe! And guess what – I’m mid-way through MINDSIGHT! Ha… You’re so right. Digging it! A very different tone to this post – excellent! Well done public service announcement, August. The Buddhist Monk Thich Nhat Hanh has a little meditation he suggest to do before starting the car. I wrote it on a stick note. I read it and then start my car. It goes like this. I find that in doing this I am centered and focused in my driving. Plus sometimes I forget where I was going any way so this gives me a chance to remember. What a fantastic habit to adopt, William! I can see it promoting mindfulness while driving and elsewhere. Thanks so much for sharing. 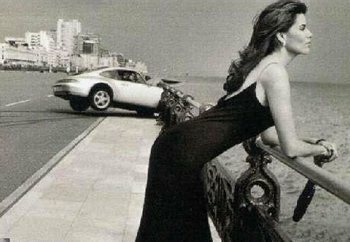 TO GOOD DRIVING SKILLS I BELIEVE …. THAT ONE HUMAN CAN CAUSE SO MUCH DAMAGE TO ANOTHER …..